There are several ways to introduce LEGO robotics into your school or club. Dr. Amy Eguchi suggests three ways: thematic, project, and competition (see Alemisis, 2013 who references Eguchi). 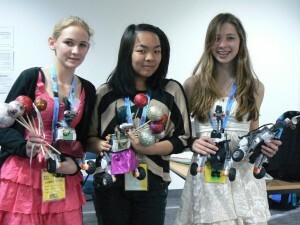 This post introduces some of the more popular robotics competitions for LEGO robotics. It should, however, be noted that competitions may sometimes exclude students for whom competition is not appealing. In addition, more often than not, these inter-school competitions are self-selected, meaning that only students with an interest will participate. 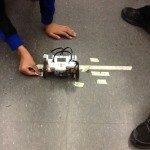 This may leave out students who are not (yet) hooked on robotics. Rusk, Resnick, Berg, and Pezalla-Granlund (2008) suggest that broadening the appeal of robotics is key to encouraging a wider range of students to explore STEM subjects and careers. 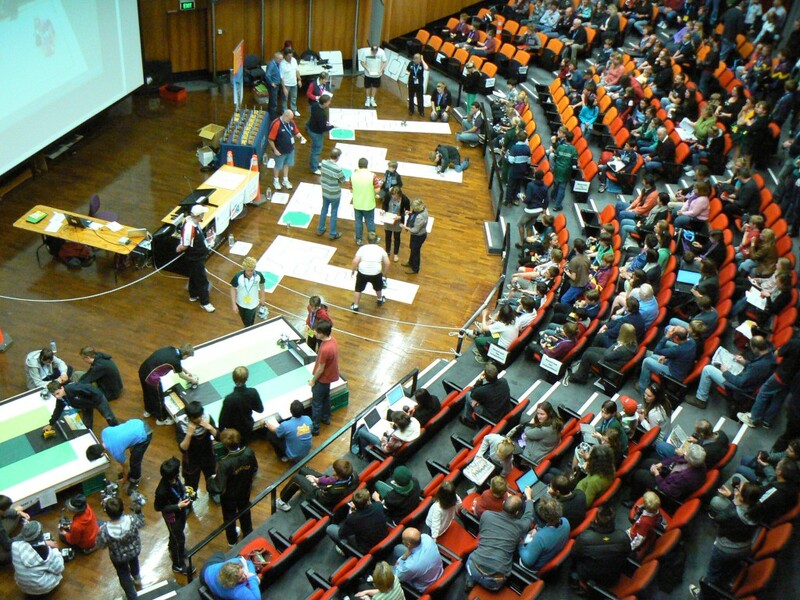 In each of the following LEGO-based robotics competitions, teams typically participate in local regional events, with successful teams continuing to national and possibly international events. The FIRST LEGO League (FLL) is a competition organised by FIRST for middle- and high-school students (aged 9-14 in North America, 9-16 elsewhere). Each year in September, a new challenge is released. The challenge is based on a real-world scientific topic and has three parts: the Robot Game, the Project, and the FLL Core Values. 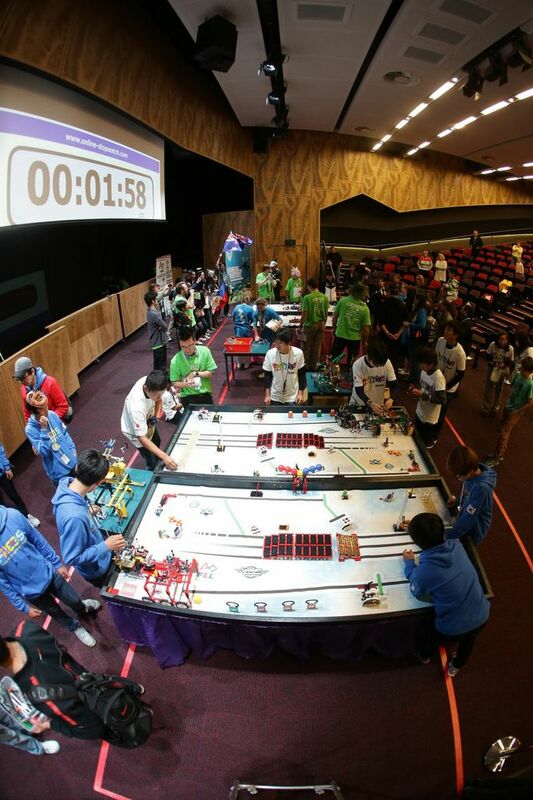 Teams of up to ten children, with at least one adult coach (two coaches required in U.S./Canada), participate in the Challenge by programming an autonomous robot to score points on a themed playing field (Robot Game), developing a solution to a problem they have identified (Project), all guided by the FLL Core Values. For children ages 6-9, Junior FIRST LEGO League (Jr.FLL) captures young children’s curiosity and directs it toward discovering the wonders of science and technology. This program features a real-world scientific concept to be explored through research, teamwork, construction, and imagination. Guided by adult Coaches, teams use LEGO bricks to build a model that moves and develop a Show Me Poster to illustrate their journey. 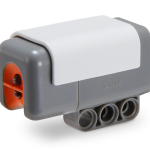 Uses WeDo rather than Mindstorms NXT/EV3. 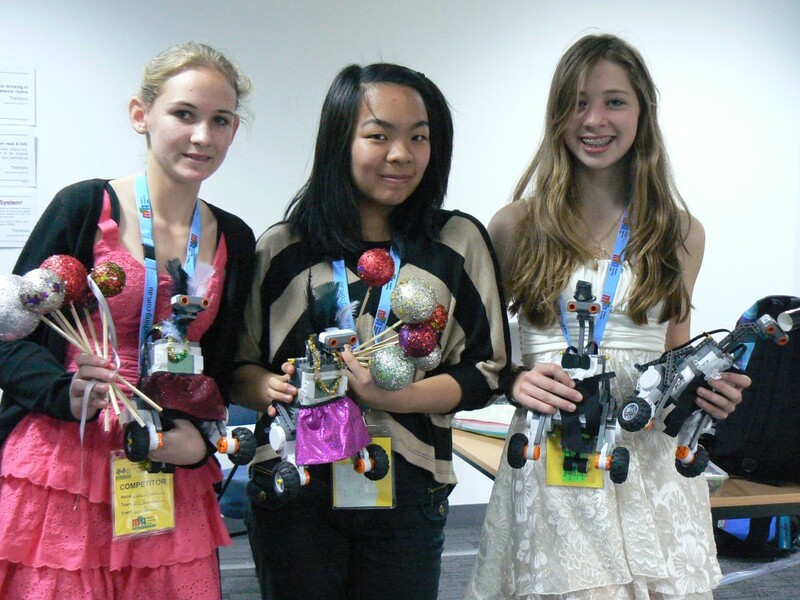 RoboCup Junior (RCJ) is a project-oriented educational robotics competition for school students up to age 19. It provides a hands-on, scaffolded environment where learners can grow by expanding their knowledge of, sparking their curiosity about, and increasing their comfort with technology. Teams work in a cooperative and supportive environment in one of three challenges: Dance, Rescue and Soccer. The focus of RoboCup Junior is the development of teamwork skills as well as technical skills in an environment of participation, fun, and excitement. The World Robot Olympiad (WRO) brings together young people from all over the world to develop their creativity, design & problem solving skills through challenging & educational robot competitions and activities. The WRO organizes robotics competitions in three different competition categories: Regular, Open, and GEN II Football. The Regular category is a challenge-based competition in which teams will build robots that are designed to solve a given challenge set on a table. The Open category is a theme-based competition in which teams use their creativity and problem solving skills in constructing smart robotic solutions that complement the theme of the competition. In GEN II Football, teams of two robots play a game of football (soccer) on a playing field. WRO shares the rules for WRO GEN II Football with RoboCup Junior Australia. At this site you will find an exhaustive link to robotics competitions around the world. The following books are specifically written to support teams and their coaches/mentors. 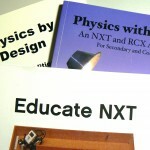 Wayne Burnett, Ed.D., is a Canadian father of two boys (both of whom used the Mindstorms NXT) who teaches at an international school in Malaysia. In addition to teaching robotics, ICT, and information literacy, Wayne has recently completed a doctoral dissertation on using the LEGO WeDo to teach science.